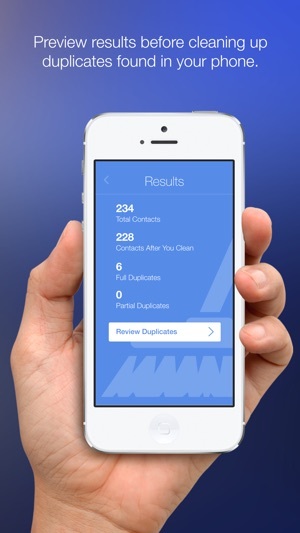 #1 Duplicate Contacts Cleanup App for iOS that allows you to easily remove duplicate contacts! 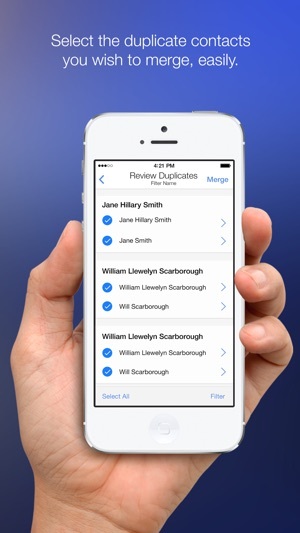 Cleanup Duplicate Contacts is by far the best contact management app solution available on your iPhone and iPad to remove multiple duplicate contacts in your address book instantaneously. This mobile App runs automatically but you will stay in control. Before scanning your contacts, you can configure the merge level: only detect 100% matches or also detect several kinds of partial matching. After that, it will run a scan to check for all duplicate contacts. Once the scan is complete, it will present you with the results. You can then choose to remove all matching contacts from your address book or to merge only a sub-selection of the duplicates found. We let you analyse your address book as many times as you need for free. Also, the full preview of duplicates and partial duplicates is free as we want to convince you of the power of our deduplication algorithm. After you had a chance to review the suggested merges and we convinced you that our algorithm does a great job, you'll be prompted to upgrade to the premium version. Once you upgraded the app once, you will be able to save later analysis results for free as often as you want. 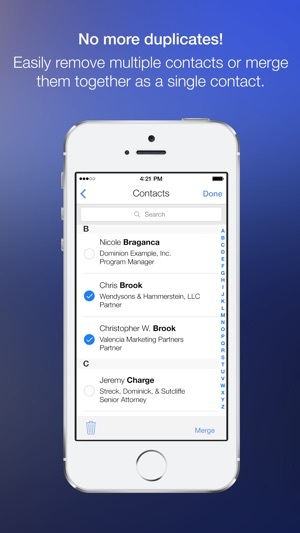 Merging contacts happens automatically. 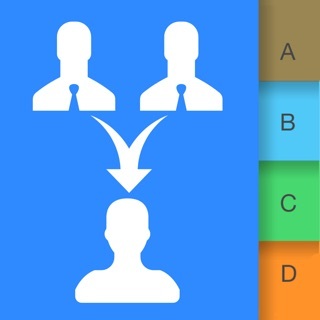 All partially matching contact details will be merged under just one contact for better management. The contact management App also works flawlessly with multiple sources like Gmail and iCloud to keep all duplicate contacts centralised. 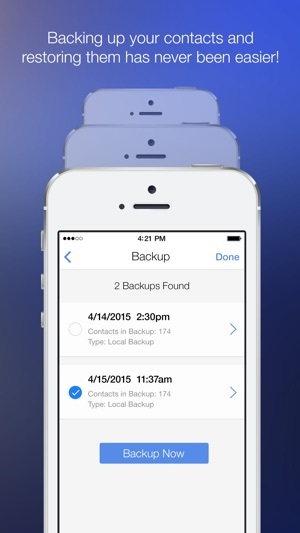 Cleanup Duplicate Contacts will cleanup your mobile address book within seconds and you'll be amazed. 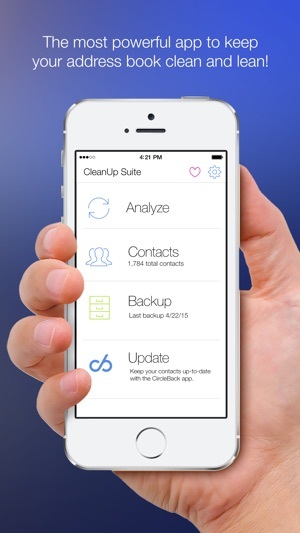 This app is the ultimate contact cleaner. Tuve que pagar para fusionar y tras varias fusiones sigo teniendo los contactos duplicados ! Y hasta repetidos 4 veces. Después de probar varias incluso pagando más que por esta, ha sido la que ha funcionado bien de verdad, y he pasado de 10.000 contactos a 1000 fácilmente. Gracias! Simple y para utilizar sólo unas pocas veces al año. Pero te permitirá tener perfectamente ordenada la agenda sin un solo duplicado.